Hello Friend! Atish here, this is time for the second interview of “Coffee With Atish”, This time we have interviewed Mr. Bilal Ahmad, a very talented blogger and the developer of the theme “Techmaish“. Atish: Welcome to TechTricksWorld. There is no need of introduction as your name is enough but as the part of formality tell a little about you? Bilal: Thank You Atish for interviewing me on your blog. My name is Bilal Ahmad, a 22 years old blogger, pursuing MBA in Banking and Finance. I joined blogging community in 2009 and now it became my passion. 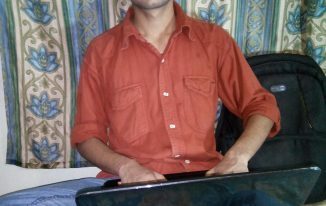 Bilal: In 2009 I started blogging and till that time I was involved in PTC (Paid To Click) programs. My first blog was on Blogspot.com for the promotion of these PTC program. Actually I wasted lots of my time on these kind of programs, but then I realized that I should jump into blogging industry, because many people are earning good money from it. Apart from making money from blogging I am now enjoying it very much. Atish: How many blogs you are you handling and which was the first one? Bilal: The first blog i started on WordPress is http://www.bnsofts.com [where I share giveaways promotions for kaspersky lab products]. Currently I have 4 blogs, TechMaish.com, Bnsofts.com, WPPluginsBlog.net and Buyinpakistan.info. Atish: How do you manage your studies and blogging? Bilal: I am a person who love freedom and I don’t want to do any thing forcefully OR if i say i am little disorganized. Disorganized in this sense that whenever my mood is to blog, I just blog and whenever my mood is to study then i just study. After completion of my MBA I will be jumping into blogging industry as a full time blogger and then my work will become organized. As in businesses you need to manage, plan, organize and evaluate things in proper ways. Atish: Many bloggers find it very difficult to bring traffic to their site, in your opinion which is the best way for traffic generation? Bilal: In my opinion they best way to bring traffic to a blog is “The Topic of the Blog OR the Niche”. No matter how much effort you put into creating backlinks, writing articles, commenting on blogs etc, but the important thing is that what you are giving to the visitors. 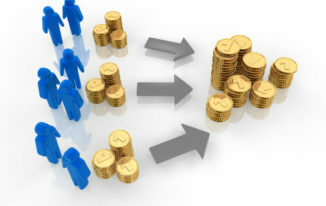 If you are giving some thing very valuable then people will start visiting your blog after every hour. As a example you can see my Bnsofts.com blog where I have 3500 registered email subscribers waiting for my every new post. Atish: Is blogging for you just a passion or a medium of earning too? Does it help you to earn enough cash to quit a 9 to 5 day job? Bilal: Frankly speaking the first motive was to earn money from blogging, but with the passage of time it become my passion and now i really enjoy it. Yes this is what I mention above that after completion of my MBA I am going to take blogging as a full time job. The reason is that as a MBA student I believe that blogging is a very profitable, long term, entertaining and risk free business. Bilal: Hmm I need to thing about this one, because happiness has lots of definitions. It could be because of monetary rewards, brand establishment, recognition etc, however I should say that for me it was that moment when people started interacting with me with a new recognition (TechMaish). 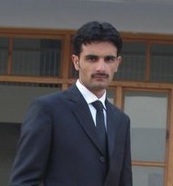 Bilal: I am waiting for the completion of my MBA Degree and after that I have lots of plans in mind. Bilal: Every blogger from whom i learned any thing in my blogging career impacted me in a very positive direction. I learned different new things from every blog i visited. Thanks to all bloggers who have work hard to provide valuable tips and information to the reset of the internet users. Bilal: The only thing in blogging is that you should not automate your processes. Work manually, wait and get the result for long term. The shorter you get the result, the shorter its life span will be, the more time it take to deliver result, for long period it will benefit you. Atish: What do you think about TechTricksWorld.com? Bilal: First of all thank you so much for using the theme developed by me. Your blog is looking awesome, not because you are using TechMaish theme, but because of the Niche and Theme Relevancy. I like the idea of your bog where you showcase interviews, individual success stories etc, it really attracts new bloggers. Good Luck and Best Wishes Atish for your future, may you live long and thanks again for including me in your Interview section. Thanks Bilal for giving time from your busy schedule for this interview and Also thanks for making a beautiful theme “techmaish”, Its just fabulous. Congratulation for your second Interview Atish. Thanks, Bilal for sharing your thoughts with us. Thanks again. Good atish doing well …..
good interview atish!!! im passionated about bilal, he is trying to have financial success. thanks to all for commenting on our blog. stay tuned still more interesting stuffs are there to come. Fazal@ Thank you for your compliments. Thanks to all for supporting me in my blogging career. I like your quote: “Two things define your success in life. The way you manage when you have nothing And The way you behave when you have every thing”. Well I must say I was a vivid reader of Tehmasich at the start of my blogging journey and I have learned a lot of things there. I guess you did a wonderful job by doing this awesome interview as we got to know about him very well.